Let everyone know who your kids favorite Penguins player is with this Pittsburgh Penguins Evgeni Malkin Youth Name and Number T-Shirt from Reebok! 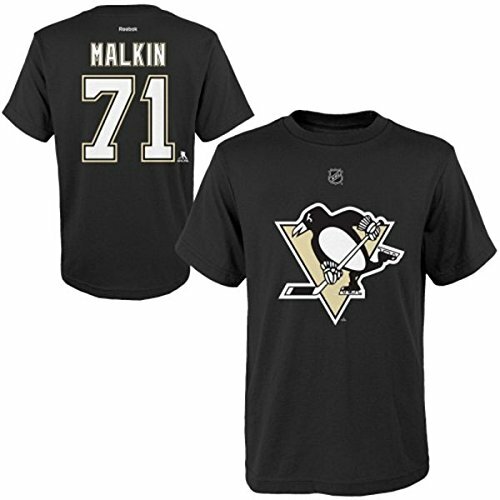 This shirt is all black and features the official Penguins logo printed on the chest. This shirt also features Malkin's name and number on the back. 100% Cotton.